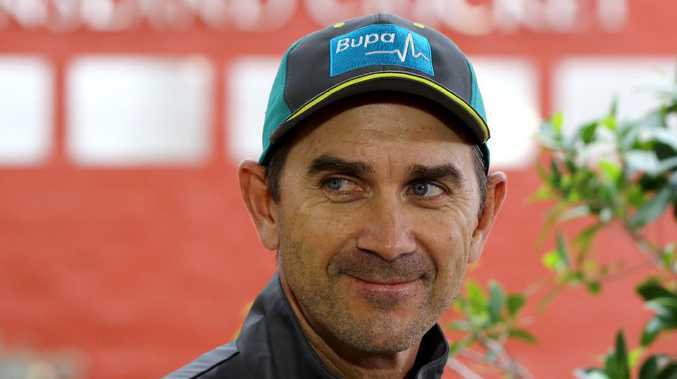 Justin Langer is considering changes to the one-day line-up. FIVE months after a 4-1 ODI thumping by England Down Under, a new-look Australia resumes hostilities with the old enemy in another five-match one-day international series. A lot has happened in Australian cricket between then and now. The end result is that neither the captain nor the vice-captain that led the country last time round will be playing. Throw in injuries to all three of Mitchell Starc (leg), Pat Cummins (back) and Josh Hazlewood (back) and on paper this is a significantly weaker XI than the one England took on in the summer. New coach Justin Langer will be hoping the forced injection of fresh faces will be enough to lift Australia out of the ODI slump it has been stuck in for a while now. Its win-loss ratio (0.25) over the past 12 months is the worst in the world, tied with Papua New Guinea. Both sides have suffered eight losses from 10 games in that time. David Warner and Steve Smith are both suspended. England of course has problems of its own. While the hosts sit atop the ICC's ODI rankings - 19 rating points ahead of fifth-placed Australia - they were dealt a reality check by Scotland on Sunday, suffering a shock a six-run loss. Ahead of Wednesday's series opener, find out everything you need to know in our Ultimate Guide. All five one-day internationals and the lone Twenty20 will be broadcast by the Nine Network. 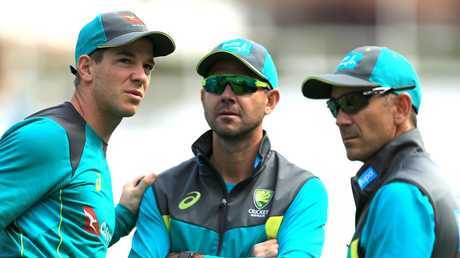 Australia kick off a fresh era under new captain Tim Paine at The Oval on Wednesday (10pm AEST), confident their team of rookies can shock England in the five-match ODI series. 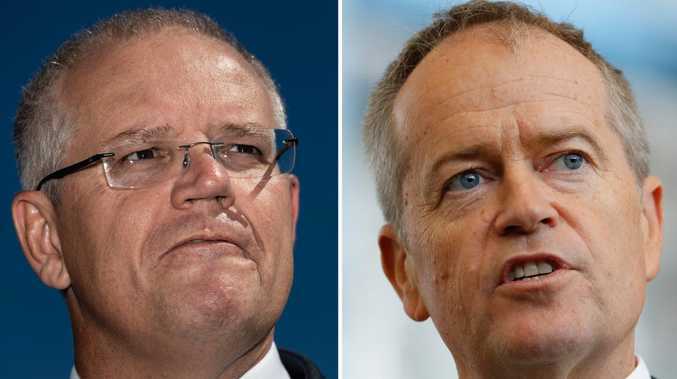 The hosts boast a woeful one-day record against Australia, winning just 52 of the 142 matches between the two nations. However, they are the No.1 ranked 50-over team in the world and have been transformed under the captaincy of Eoin Morgan after their shambolic showing at the 2015 World Cup. Despite their lofty status, England go into the game after a shock six-run defeat to Scotland in Edinburgh and will be without talismanic all-rounder Ben Stokes and key bowler Chris Woakes. But as they showed by getting so close to Scotland's mammoth total of 376, they boast great batting depth and regularly post scores in excess of 300. In the last series between the sides in Australia earlier this year England claimed a 4-1 win. With the tourists missing the suspended Smith and Warner in addition to Ashes-winning bowling spearheads Starc, Hazlewood and Cummins the hosts are heavily fancied to win the series. Glenn Maxwell's lean run of form could force Australia into a batting order rejig. Maxwell has scored just one and three in his visits to the crease against Sussex and Middlesex last week and averaged just over 14 for the Delhi Daredevils in the Indian Premier League. 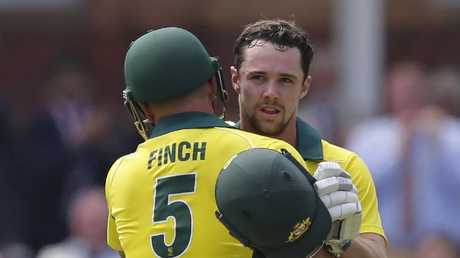 With Travis Head scoring a century as an opener against Middlesex and Aaron Finch crunching a run-a-ball 50 batting at five at Lord's, Langer admits he is tempted to move the vice-captain down the order. Travis Head and Aaron Finch could switch places in the batting order. Despite the right-hander's success against Middlesex, moving Finch down the order would be a risk. He has an outstanding record against England against the new ball where he averages more than 55 with five centuries in 20 matches. Despite two relatively low scores from D'Arcy Short in the warm-up matches, he looks set to make his ODI debut with Marcus Stoinis to keep his spot at No.3 after his classy century against Sussex. It could mean Shaun Marsh misses out despite a solid 49 against Middlesex with Langer leaning towards playing four quick bowlers with Ashton Agar the spinning option. "I've always seen having that extra bowling option work well in domestic cricket, particularly if your seven and eight can bat a bit and we've seen that with Ashton Agar and Michael Neser," Langer said. Giant Queensland quick Billy Stanlake was preferred to Andrew Tye against Middlesex and his pace and bounce unsettled the batsmen throughout and he looks in line to make his third appearance for Australia. Shaun Marsh looks set to miss out on the first ODI. Despite Ben Stokes and Chris Woakes both being ruled out of the early stages of the series, this is an England side to be reckoned with and one that has set the standards for 50-over batting over the past three years. The hosts' top six - Jason Roy, Jonny Bairstow, Alex Hales, Joe Root, Eoin Morgan and Jos Buttler - are exceptional both as individuals and as a unit. They are all made more dangerous by the fact England bat deep enough for Adil Rashid - who averages 20.40 - to often play at No.10. That lengthy order gives them a license to thrill - though both Roy and Hales will be batting under pressure. One of them is likely to miss out when Stokes returns. With Woakes out injured, David Willey will be hoping to hold onto his spot after a lacklustre performance against Scotland (0-72). His ability with the bat may be just enough to help him stave off pressure from Tom Curran and Jake Ball. 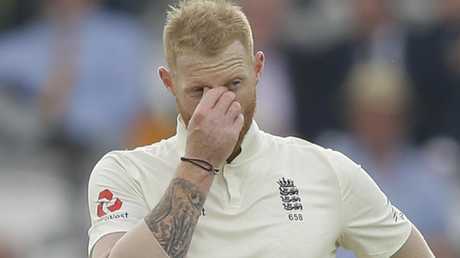 England's Ben Stokes is sidelined with a hamstring injury. Bairstow will be looking to make history against Australia by becoming only the second player to ever score four consecutive ODI centuries. Sri Lankan icon Kumar Sangakkara is the only player to have ever notched four tons in a row. Having notched hundreds in Dunedin and Christchurch, Bairstow hammered a 59-ball 105 against Scotland on Sunday. With five hundreds across 19 innings against England, Finch will go into this month's series confident. The Australian vice-captain has averaged 87.50 in ODI cricket across the past 12 months and passed 50 in five of his six innings (three 100s, two 50s) in that time. Given he scored half-centuries in both of Australia's warm-up matches, he looks like continuing that form. 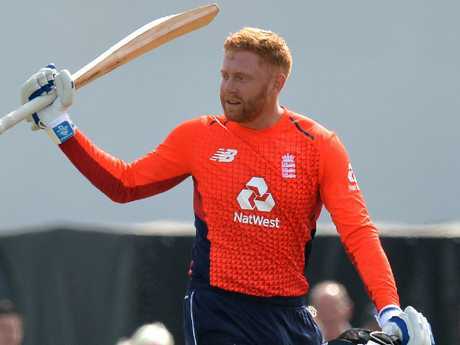 Jonny Bairstow has scored three ODI tons in a row.